Anyone interested in participating in the Dec. 15th Geography Bee are welcome to come to practice sessions on Wednesday and Thursday this week. They will be held in Computer Lab 106 starting right after school. A variety of geography computer games will help prepare you for the Geography Bee. Mickle’s Planner Word of the Week: Optimism- Faced a setback? Failed to reach a goal? Staying optimistic will give you the energy to try again. We have had a couple of house keys turned in at the main office. If you have lost one please come to the main office to claim it. On Thursday, December 8th there will be an 8th grade social after school from 3pm -4pm in the gyms. The cost to enter the event will be a $1 or a can of food. There will be multiple activities for students to participate in during the social time. We ask that all students are picked up or have left campus no later than 4:15pm. If you have any concerns please contact a teacher or administrator at Mickle. Thanks Mickle Student Council. The Mickle All-School Holiday Choir will begin rehearsals for their “Spectacular Santa Singalong” on Thursday, December 1st and Friday, December 2nd. All 6th, 7th and 8th graders are invited to come to the Choir Room 142 at 7:15 am or 3:00pm. We will have a snack and juice for you – so come join the holiday singing fun! The concert will be at Thursday, December 15th at the Legacy Terrace Retirement Home at 57th and Fremont. Today is an “A” day and will be an Inside Day during lunch recess time. Remember to make the most of your efforts here at Mickle, because by working hard, you help make Mickle the MOST. Parents and Students: Homework Club will take place today in Room 223 (Intervention Room) due to PLC’s. The Mickle All-School Holiday Choir will begin rehearsals for their “Spectacular Santa Singalong” on Thursday, December 1st and Friday, December 2nd. All 6th, 7th and 8th graders are invited to come to the Choir Room 142 at 7:15 am or 3:00pm. We will have a snack and juice for you – so come join the holiday singing fun! Today is an “B” day and will be an Inside Day during lunch recess time. Mickle’s Planner Word of the Week: Confidence- Confidence is an important ingredient for success. If you believe it you can achieve it! There will be no 8th grade girls basketball on Wednesday, November 23rd. Mickle Newspaper staff members–please be working on conducting your interviews and writing your stories! We need more done before Wednesday so that we can polish them up and try to finish! We will meet TOMORROW morning in room 125 at 7:20am! Mickle Newspaper staff members–please be working on conducting your interviews and writing your stories! We need more done before Wednesday so that we can polish them up and try to finish! Congratulations to the Mickle students that participated in the University of Nebraska High School Math Day contests yesterday. 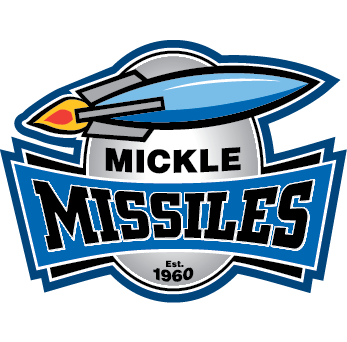 Mickle is the only middle sschool in the entire state that takes students to the competition. Seventh graders (Olivia D., Austin G., Max M., and Dawson M.) participated in only the written test. Eighth graders (Katilynne J., Rachel J., and Logan R.) also participated in the Quiz Bowl team competition. They survived through the 8th round before elimination in the 10 round competition by defeating schools junior and senior students from schools like Shickley, Hyannis, and Harvard (Ne.) They represented our school well. The following are the winners of the Bully Poster Contest. Please see Mrs. Ainslie for your prize. Elanor J., Mercedees S., Layne E., Kaitlyn B., Sierra W., Maddie B., Alex E., Jordan H., Stephanie B., Rencia S., Austin A., Eli R., Aleigha N.
Mickle’s Planner Word of the Week: Courtesy- Following through on your commitments to others is an important courtesy. Use your planner to help! THE MICKLE PET SHOW IS STILL ACCEPTING ENTRIES! WE ARE IN DIRE NEED OF MORE ENTRIES FROM SIXTH AND SEVENTH GRADE! Simply write about your pet, bring it to the media center with a picture and we will type it up, put it in a book and put your name in the drawing for your VERY own poster! You may now order tie dye stop bullying t shirts. They will be Mickle blue only and only in adult sizes. The cost is $17. If you are interested, see Mrs. Kiburz in room 121. For those of you who are fans of the card game, Magic, the CLC has a card club in which members get the chance to play Magic against other avid players. Card Club meets afterschool today in Mr. Rowe’s room which is room 120. The club meets from 3:15 to 4:00. If you have a Magic card deck, please bring it. If not, that’s okay, too. If you have questions, you can talk to Mrs. Petsch in room 139 or James with the CLC. Teen Trek program at the Belmont Recreation Center. The event will be held on Friday, Nov. 18th from 7-9pm. The center will be open for the youth to use the gym for basketball and the game room. Students must bring some sort of ID with the confirming that they are in Middle School. Please call 402-441-6789 if you have questions. Mickle Diversity club WILL NOT meet this week. Tonight is the “domo bookmarking” making event in the media center! Stop in after school and we will teach you how to make them! Today is an “B” day and will be an Outside Day during lunch recess time. The plastic covered hoop house in the Garden Area was vandalized again. If you have any information on this please contact Mr. Thompson. Mickle Diversity club WILL NOT meet Thursday as previously planned. Did you know that 160,000 students miss school each day because they’re afraid of being bullied? Take a stand, lend a hand. Let bullies know they will not be tolerated at Mickle. Turn in your entries for the Anti-bullying contest by the end of the school day today if you want your poster judged. Posters may be given to Mr. Pearson, Mrs. Ainslie, Mrs. Schmidt, Mrs. Gabelhouse, Mrs. Kiburz, or in the office. Skating for Everyone November,19th 5 to 7 pm. $5.00 includes skates. Inline skates $3.00 extra. Everyone is welcome. There will be prizes and is sponsored by Girl Scout Troop 20028. Today is an “A” day and will be an Outside Day during lunch recess time. All Mickle parents are invited/encouraged to attend the Tuesday, November 15th PTSO meeting at 6:30 p.m. in the Mickle Media Center for a follow up to our spring 2011 anti-bullying seminar presented by Mr. Vic Pearson and Mickle staff. Mickle Diversity club will meet this week Thursday from 3-4 in the media center. Bring a friend and enjoy some fun. News Club- Mrs. Jorgensen will not be available to run the news club Wed. morning, however, if you would still like write and do interviews, you may join Mrs. Smith in the LIBRARY at 7:20am. Did you know that peers witnessed 85% of bulling incidents but intervened only 11% of the time? Take a stand, lend a hand. Bystanders are our best line of defense against bullying at Mickle. Remember, to turn in your entries for the Anti-bullying contest by Wednesday. Winners will be announced on Friday. The posters will be displayed throughout our building in the coming weeks. The school wide Geography Bee will be here before you know it. In all social studies classes there will be a preliminary test to identify the finalist for the bee. The winner of the Mickle Geography Bee will receive a $40 gift card of their choice. Second place will receive a $30 gift card of their choice and third will receive a $20 gift card of their choice. So start cracking those geography books for your chance to win! !